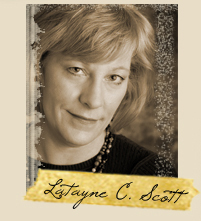 Novel Matters: Name That Author Contest--Day Five! Welcome back for day five of the Name That Author Contest. Do the days go by faster in December? Of course, they do! Take this moment to breathe deeply and do yourself a favor. Our contest is a way to treat yourself this Christmas. 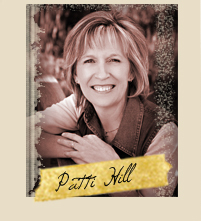 Read the excerpt below from one of our six authors. This is from her work in progress, never published, never seen by the public. What a treat! If you think you have a guess, go to comments and leave your guess. We have a wonderful, beautiful, marvelous prize for our contest--a $50 gift certificate toward a George Popa sculpture. 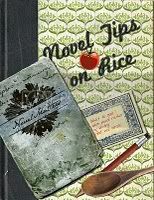 Second and third places will win a hard copy of our cookbook, Novel Tips on Rice: What to Cook When You'd Rather be Writing. 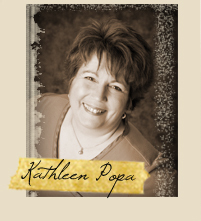 The recipes are grand and the graphic artwork is done by our own Katy Popa, an artist in her own right. These are words of my lost hope. Lost or taken, I can’t be certain, although I once was sure about the order of my life, of the people who came and went, what things occurred and what did not. Does it seem strange to speak about the things that did not happen? As if absence can be marked by the fact of it. How can a person catalogue the life that did not take place? The cancelled meeting, the person who did not come, the blister that never raised on my foot. I can do this because everything is always happening, all at once inside each of us. I carry in me the same primordial instinct as did my ancestors and the ancestors before them. The footprint of time is stamped deeply into my DNA and my body tells me of the things that never happened to it, but could have. Should have. And in another time, did. I’m not crazy. I don’t need to be told what is real. These are the days I live with my eyes closed. The days of absence. This place within these pages is the only place where no one can touch us. No one can approach, encroach, or rip away. We are safe here in the pages of this book. My journal of the other life I lead. This is the journal of my fondest hope, the place where I have found my truest feeling, my deepest emotion, my most real self. The true life I found lying within the husk of an empty future. I’m not crazy. None of this is real. Yet it is more real than my hands, which write it. A life takes up residence so deep within me its existence can’t be detected on earth. A secret that is buried weightless inside of my flesh. A heart not yet beating, yet it complies with steady contractions of my own heart. In time, it will take on flesh that is forged by will—constructed—life that is sprung from God’s imagination. From the beginning, the two of us together extend and contract, one begins and one ends, each contained by the other. My body’s darkness possesses his body, and inside of his forming body he possesses our now shared soul. It is a boy. I know this in the way women know things. He has a name, it’s the one that has dwelt in the back of my mind from the time I was old enough to have my thoughts turn to such things. A name I don’t speak or allow myself to think. Not yet. They say you should wait until after the first three months—the first trimester—that it’s within this fragile time so many babies slip from the womb. But he is solidly inside of me. I know this, too in that same female knowing way. He is a stone set in the sediment of a tranquil river. A resident, and not just a stranger passing through. The certainty of him seeps in. But still, I wait to speak his name. I know he doesn’t blame me. I lie in my bed, and together he and I rest in our shared secret knowledge of one another. I sing him songs that until now I didn’t know I knew the words to. As if his presence has brought the memory of music back to me. This sits right and good. Like another miracle being dragged. That is what this is: a cluster of miracles one following on the other’s heels. You want to read more, don't you? I know, it's wonderful. Which one of us is this? Make your guess in comments. Oh, this is great writing. Yes, I need to read more. I have to guess Bonnie. MAN alive this is difficult! OOOOOOOOOOOOOHHHH! I know! (RAISES HAND UP HIGH) Pick ME! Pick me! ME!!!!!!!!!!!!!!!!!!!!!!!!!!!! Pick MEEEEEEEEEEEEEEEEEEEEEEE - I know this one!!!! And yes, I very much want to read more. I think Bonnie, but it's hard to decide. The excerpts have been so good I want to read the books. When are they gonna be finished? Such beautiful writing! 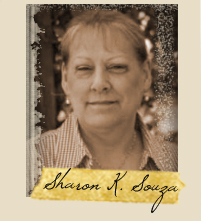 I think I will have voted twice for Sharon Souza if I say her. But knowing what I know about her family history, this seems a beautiful tribute to it. 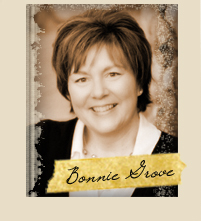 Then again, there's a hint of Bonnie Grove in it, whom I think I also already voted for! Answers! We need answers! And we need those books in our hands! There is one more excerpt to come, then all the answers will be revealed! It's been fun, and very interesting. It's so hard to tell from short excerpts (I think this one is the longest of all of them, and it's pretty short). Harder than I thought it might be. 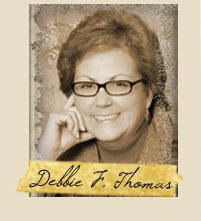 I wonder how many folks are lurking waiting for all the excerpts to be posted before guessing. I think I'll trust the preacher and vote Bonnie. And it would be very generous and kind and encouraging and loving if you gave us all one more entry, when all the posts are in to list all our answers again, with whatever revisions we want to make with all the possibilities before us.